Wow. I’m going to be busy! This course takes customizing and decorating clothes to a new level inspired by historical costume, and in line with the embellished aesthetic on the catwalk. 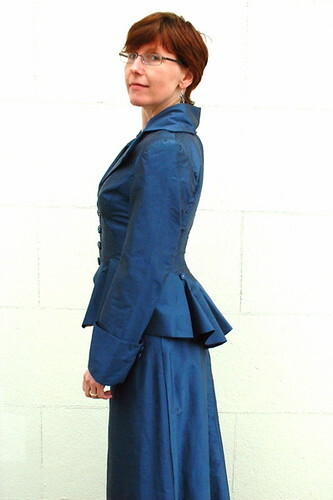 The course will teach a broad range of couture-inspired hand-sewing techniques to embellish your existing clothes or to incorporate into your own creations. The course will begin with a comprehensive slide show of examples of historical costume trims as studied by the tutor and include a range of unusual, innovative embellishment and decoration techniques including quilting, hand-made trims, innovative appliqué and pleating. Throughout the course there will be an emphasis on eco-style, re-using clothes and vintage materials. Two-day course at Wimbledon College of Art, London. 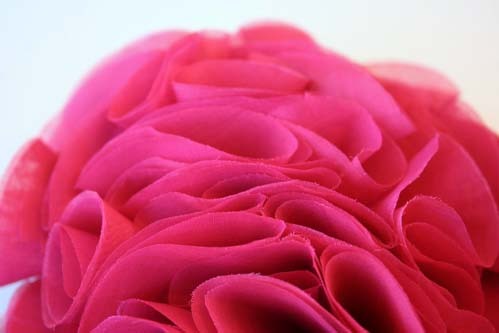 A corsage, or fabric flower pin, can make a plain outfit very individual. This course will teach you how to make a range of contemporary decorative corsages or fabric flowers for brooches, hair clips and for interior decoration. Over the two days, you will learn how to construct several different styles of contemporary flowers and textile jewellery using recycled fabric and found objects. 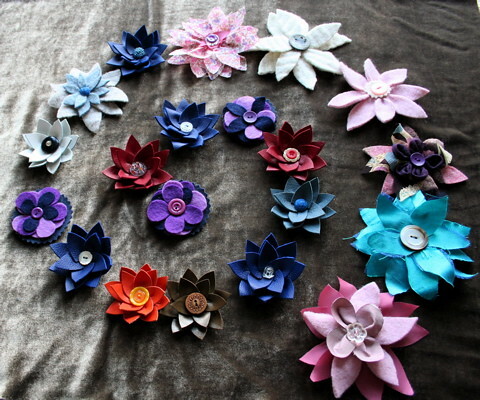 We will use recycled felt, leather, ribbon, appliqué and hand-stitching to create original and vibrant flowers, with many styles inspired by corsages of the 1930s and 40s. Weekly daytime classes at Newark Houses Museum with WEA Leicester, starting in September 2008, in 10-week blocks each term. Starting 22 September 2008 for 10 weeks. Monday 1.30-3.30pm. Course will continue in 2009 covering later periods. Did Mary Queen of Scots really do embroidery while imprisoned? Was it possible to create bright colours with medieval plant dyes? If you are interested in what people wore in the past, how textiles were made and the world trade in textiles, then this lively, illustrated course is for you. This term we will focus on the Medieval and Tudor period and look at textile production, embroidery and the clothes of both rich and poor, using images of surviving textiles, documents and contemporary images. Weekly evening classes at Richard Attenborough Centre, Leicester, starting in 22 September 2008, in 10-week blocks each term. Monday evenings. Course will continue in 2009 covering further techniques. An in-depth exploration of the potential creative applications for pleating, folding and layering fabrics. We will cover box and knife pleats, decorative variations, pin tucks, folds, stitch and slash, layering, cutting away and reverse appliqué. The techniques are mostly drawn from historical and traditional textiles and extensive imagery and samples will be provided for students to investigate. In all cases we will look at contemporary applications for these traditional techniques. The course allows plenty of time to experiment and develop your own ideas. 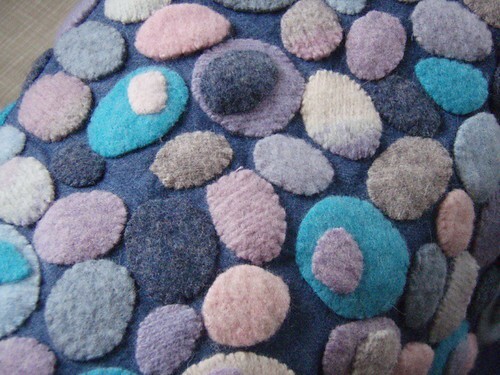 The techniques can be applied to quilting, embroidery and fashion projects, and a design brief can be set if required. Some machine work – bring your own if you can. 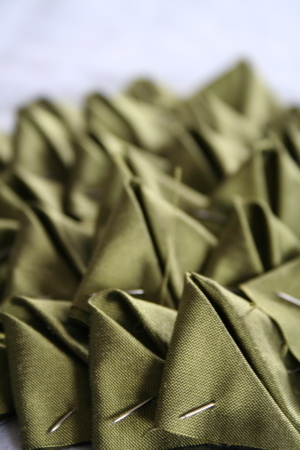 Fabric Manipulation : Apply, cut, embellish. 28-31 July 2008, 15-18 December 2008, 25 April-16 May 2009 (4 Saturdays).